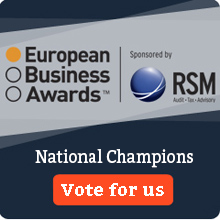 Starting today and until this coming 26 February you can vote for us in the European Business Awards. We are one of the National Champions, but with your help we can become European Champions in the “Innovation” category. The European Business Awards are held since 2007 with the fundamental objective of rewarding the most innovative companies in the European business community.